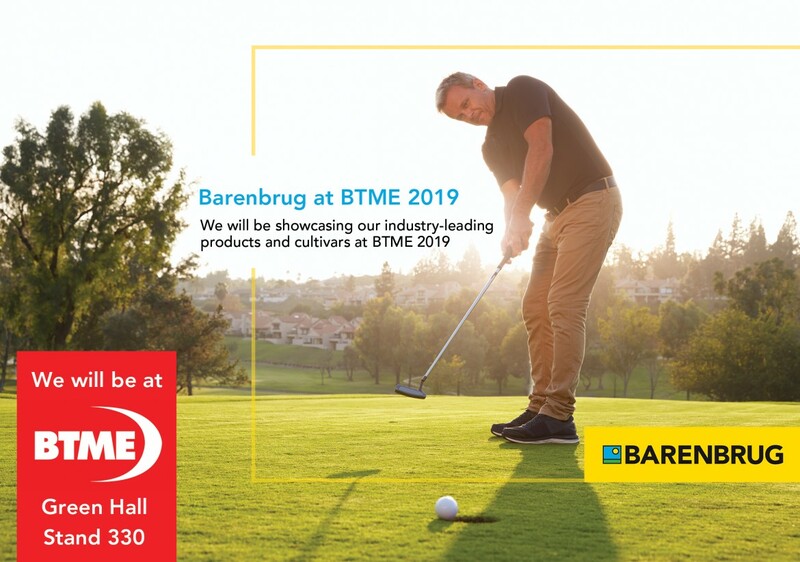 Barenbrug, the UK’s biggest and most innovative grass seed producer, will be showcasing its industry-leading products and cultivars at BTME 2019. You can find Barenbrug’s new stand location in the Green Hall; Stand 330. The Barenbrug Sport range will feature #1 varieties Barolympic perennial ryegrass, Barlineus Chewings fescue and Charles browntop bentgrass in popular products such as ULTRAFINE, MEDAL, FESCUE and ALL BENT. Two brand new cultivars make their debut in the Sport Range. Barrisse strong creeping red fescue is introduced into FAIRWAY and Baromario is a component of a new ground-breaking perennial ryegrass blend MULTI SPORT. MULTI SPORT is a four-way mix of 100% UK seed production, supporting British farmers and offering a more sustainable product choice for the UK turf industry. Baromario (and the other cultivars in MULTI SPORT) are highly-ranked in BSPB/STRI Turfgrass Seed as both winter sports and lawn ryegrasses, allowing this blend to be adopted in areas with high traffic and variable heights of cut. Visitors to the stand will also get the chance to learn about Yellow Jacket Water Manager, a game-changing seed enhancement product that improves germination and seedling survival in tough environments. The patented surfactant technology is the result of extensive research by Barenbrug and Aquatrols and has been independently tested by the STRI. In addition to Sport, the Essential Range of landscape products has been improved following a hugely successful market introduction in 2018. Products within the range have been enhanced further by Barenbrug-bred innovations such as RPR and Mowsaver technology.